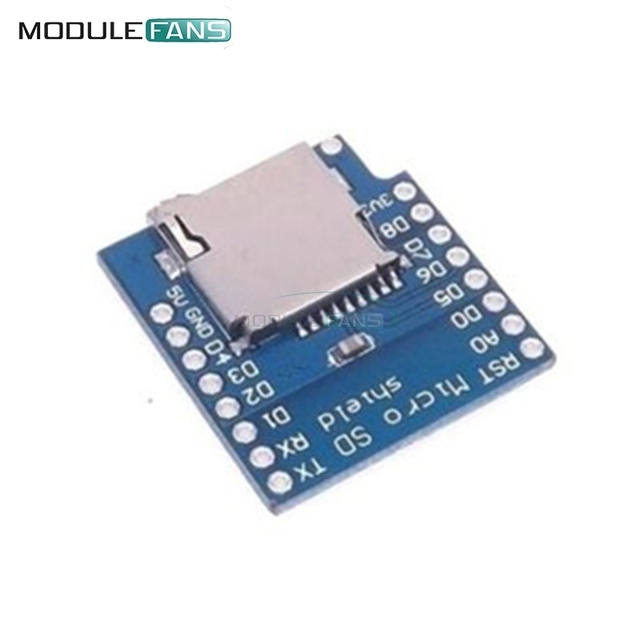 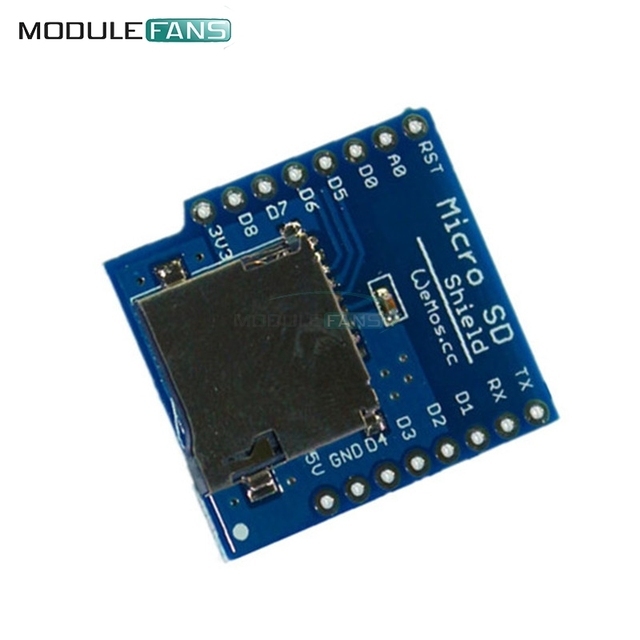 At aliexpress.com you can purchase Micro SD Card Shield For WeMos D1 Mini TF WiFi ESP8266 Compatible SD Wireless Module For Arduino For WeMos D1 Mini for only $0.75, which is 90% less than the cost in Banggood ($7.68). 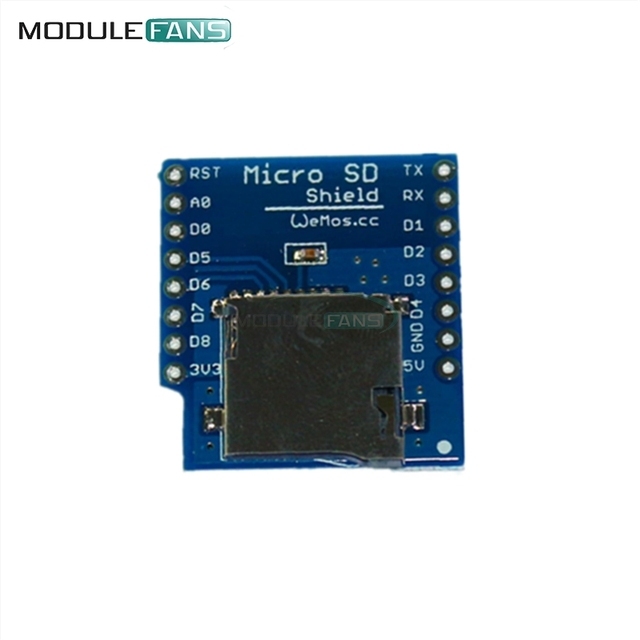 The lowest price of 5Pcs WeMos® Micro SD Card Shield For WeMos D1 Mini TF WiFi ESP8266 Compatible SD Wireless Module For Arduino was obtained on 11 March 2019 2 h 02 min. 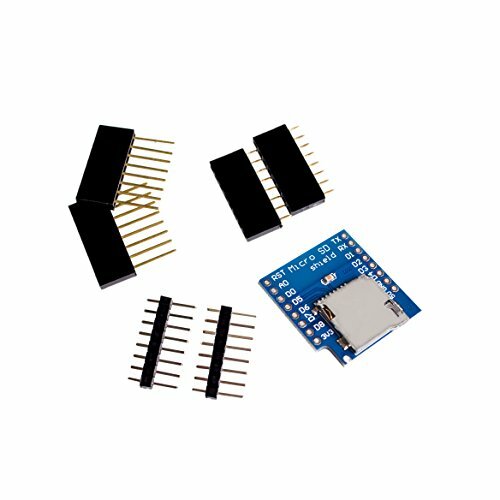 The shield SD card reader for WeMos d1 mini will allow you to make small data loggers very easily. 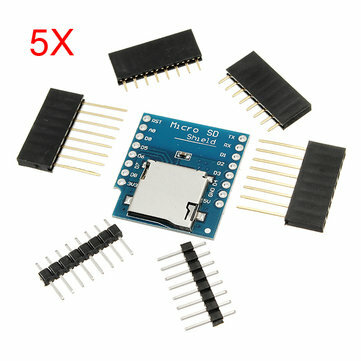 You can add a Shield Battery to operate the WeMos on a LiPo battery. 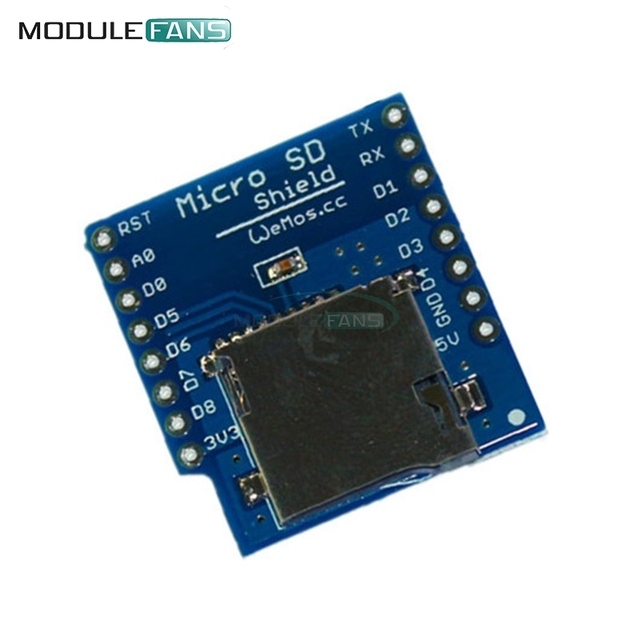 The Shield microSD uses 4 pins of the ESP8266 (D5, D6, D7 and D8) to operate. 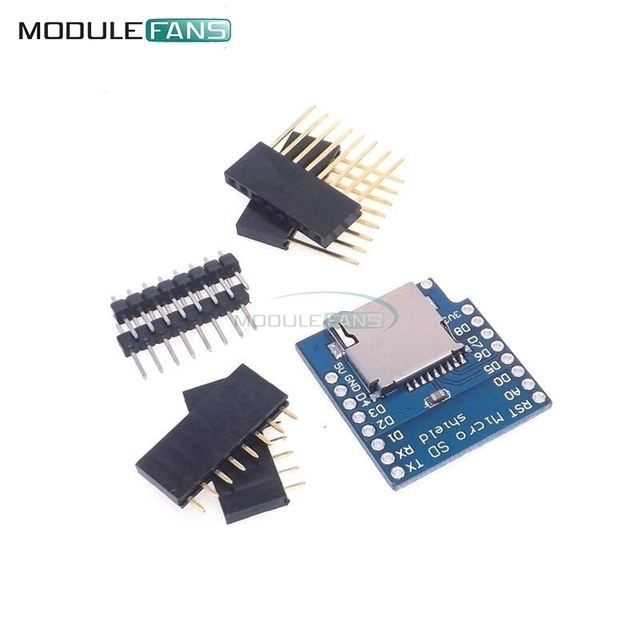 A sample code is available from the Arduino IDE or from GitHub here.